Touch me. Touch is in, not only for tablets. 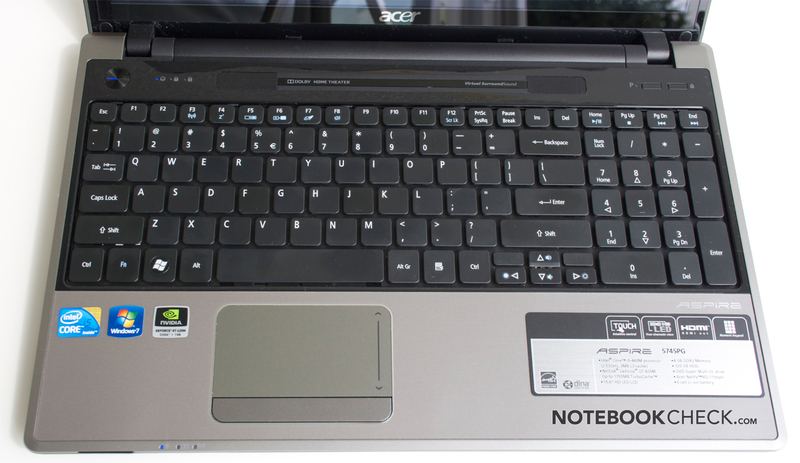 The Aspire 5745PG is a 15 inch multimedia machine with the brand-new Nvidia GeForce GT 420M graphics (Optimus), which also accepts inputs over its display. 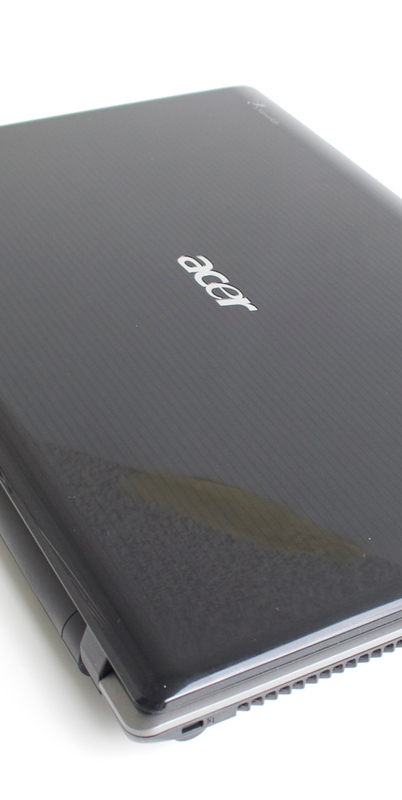 The Acer Aspire 5745PG isn't a complete stranger. The notebook has already been listed in UK shops with the ending 354G32Mns for a few months, but with an Intel i3 CPU and Nvidia 310M graphics. The alternative, 5454G50Bnks, is also available in German-speaking Europe, equipped with a considerably stronger GT330M graphics from Nvidia and a Core i5 CPU. The user is faced with two significant innovations in the 5464G32Mnks version that we have been provided with. 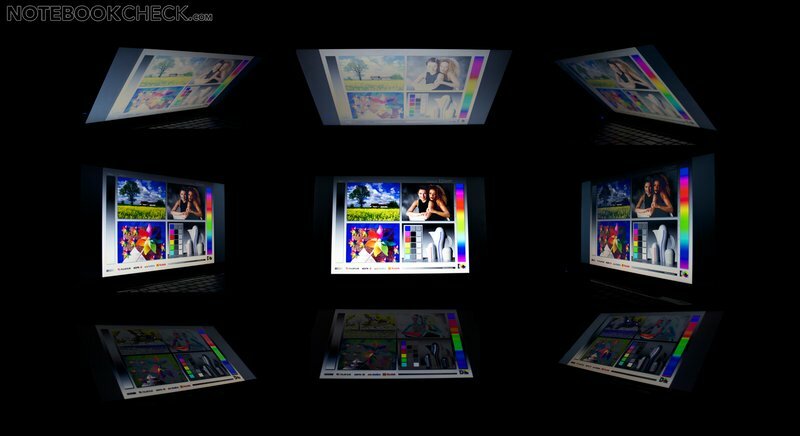 Alike its predecessor, the notebook has a multi-touch display. Acer's own software invites the whole family to smear the display. Furthermore the newest hardware from Intel and Nvidia is used inside. Intel contributes an upcoming revamped Arrandale chip, a Core i5-460M, whilst Nvidia finally throws its new midrange graphics card generation, based on Fermi architecture, onto the market. The GeForce GT 420M finally also supports DirectX11 and comes along with Nvidia's Optimus Technology, which automatically switches between the dedicated graphics card and the integrated Intel GMA HD graphics solution. Special focus will be placed on GPU and touch display, particularly because the 5745PG's case corresponds to the already tested Aspire 5625G. Detailed information about the new Intel processors will follow as soon as they have been officially introduced. 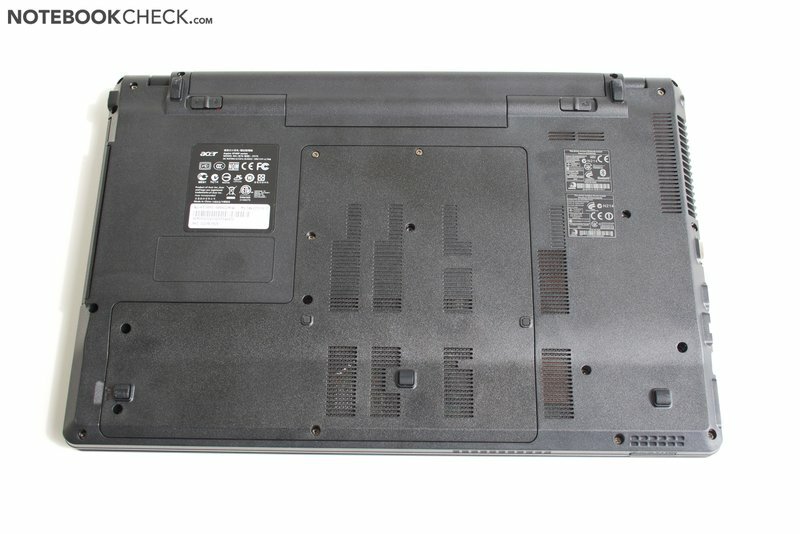 The Acer Aspire 5745PG makes a good impression in terms of design and manufacturing. The brushed aluminum wrist-rest mainly contributes to this, as its haptics can be described as particularly good. Furthermore, it has a positive impact on the device's stability. The rest of the case is made entirely of plastic parts, which are executed alternately with matt or glossy surface. The display lid with a striped pattern is a high-maintenance eye-catcher, which magically attracts fingerprints and dust, and thus needs to be polished often. 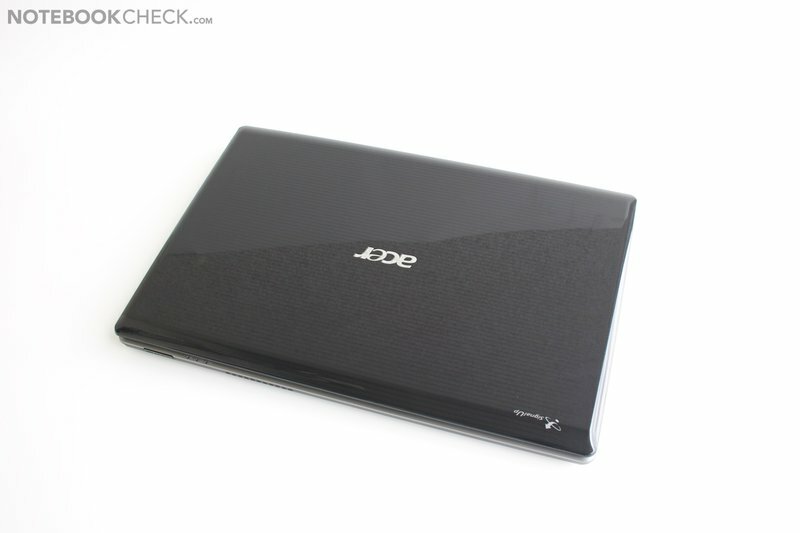 More information can be found in the review of the identical Acer Aspire 5625G. 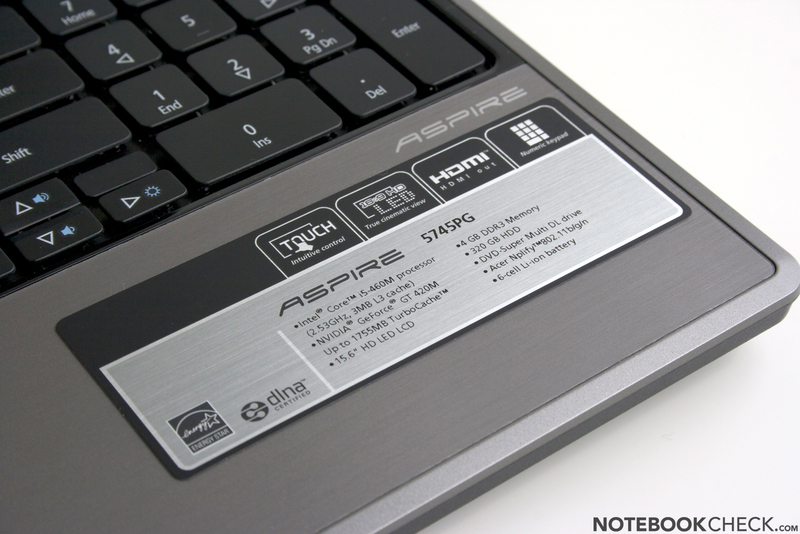 In terms of connectivity, we can also refer to the aforementioned Aspire 6525G. The 5745G has the same connectivity that only covers the basic circumference, but possibly offers an attractive HDMI port (for connecting to an external Monitor/TV). The port distribution has to accept criticism because they are found in the front area on the left and right side edge. This could lead to obstructions in the workplace beside the notebook, depending on the ports' occupancy. The given keyboard makes an overall good impression. It fits tight in the case and can only be dented marginally under extreme pressure. The smooth surface of the keys needed a bit of getting used to in the test. 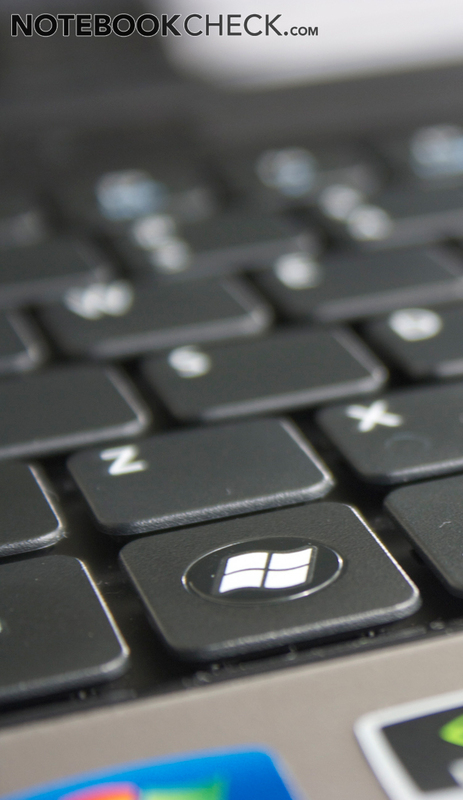 Nevertheless, touch typing was immediately possible due to the single key layout with standard key distance. The keyboard even looks convincing. 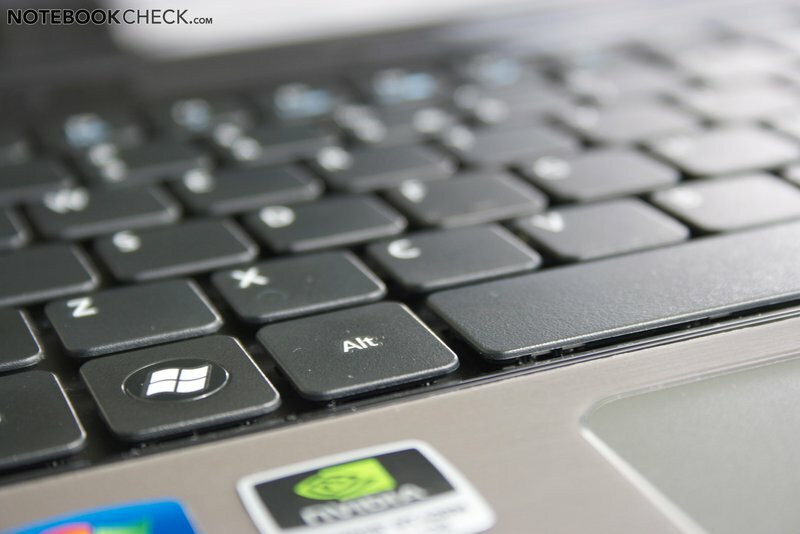 An interesting, even if unusual feature, has to be mentioned in connection with the input devices: When typing quickly on the keyboard, the touchpad is automatically disabled. 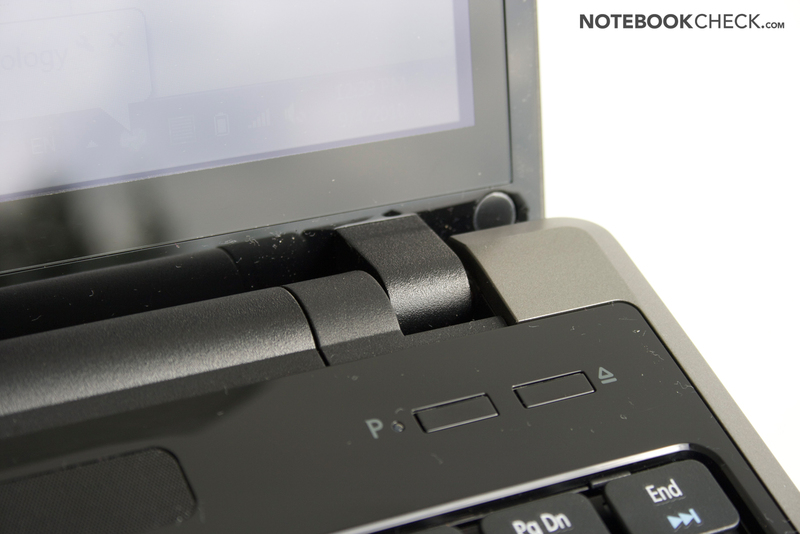 If you change quickly between typing and cursor movements, the pad could refuse to work for a moment. 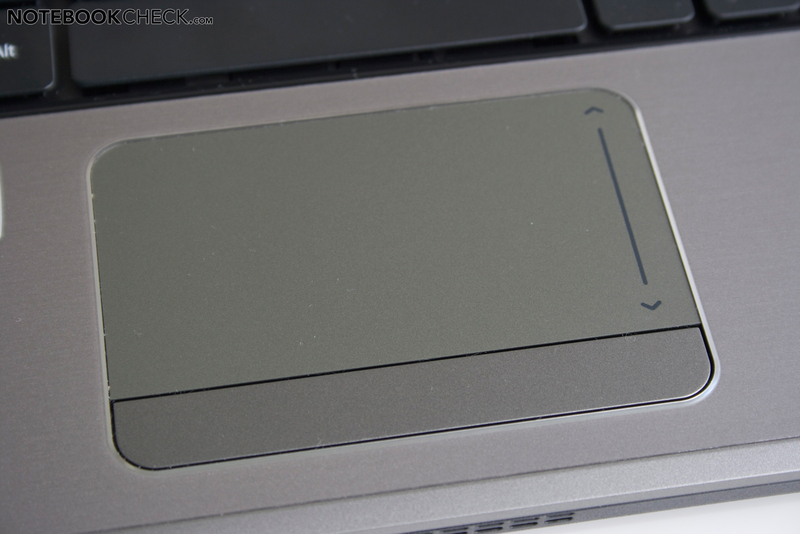 The large touchpad from Synaptics, with a dedicated rocker key below the sensitive area, supports multi-touch gestures (e.g. 2 finger scrolling, etc.) and especially stands out with its pleasant and gliding-eager surface. 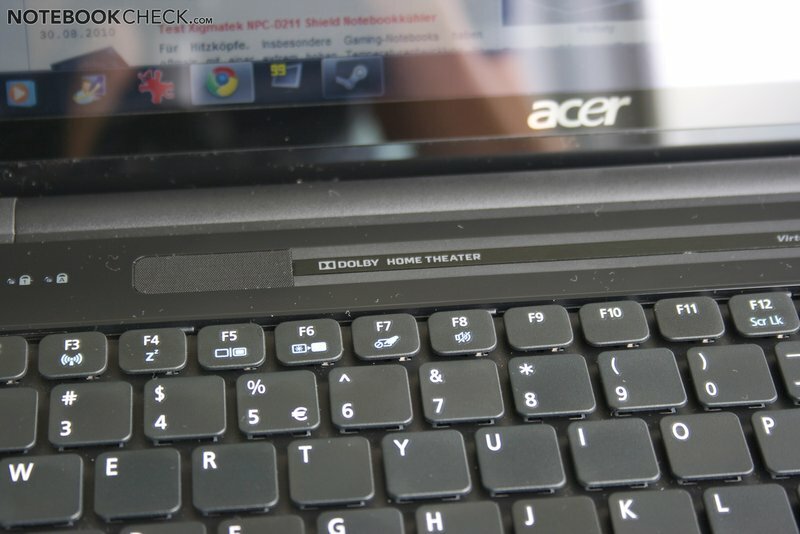 The key bar's feedback is satisfactory, whereas the pleasantly dull click noise has to be mentioned positively. The ending -P in the model number indicates the integration of a touchscreen. It can of course be used supplementary to the aforementioned input options for interacting with the notebook. In comparison to touch-optimized devices, like Dell's Streak or Apple's iPad, the verdict for Acer's touchscreen turns out modest. The touchscreen only responds very imprecise, particularly in the corner areas (it's especially striking in right lower corner in our test device). Anyway, the Windows user interface overall only supplies little pleasure when using fingers. It works better with Acer's preinstalled software "TouchPortal". Frequently used functions can be faded in as symbols along a horizontal bar, through which you can scroll touch-typically. A finger tap on the specific icon opens the application, for instance TouchMusic (music rendering and management), TouchVideo (Blu-Ray and DVD rendering, video streaming), TouchPhoto (rendering and organizing pictures) and the Touch-Browser, which allows touch-optimized surfing on the internet. A few applications, like Microsoft Surface (world map - Google Earth counterpart) are quite impressive with the touchscreen control. Browser and picture applications aren't perfect though, and often stutter during use. Now we'll look at the hard facts of the incorporated display. 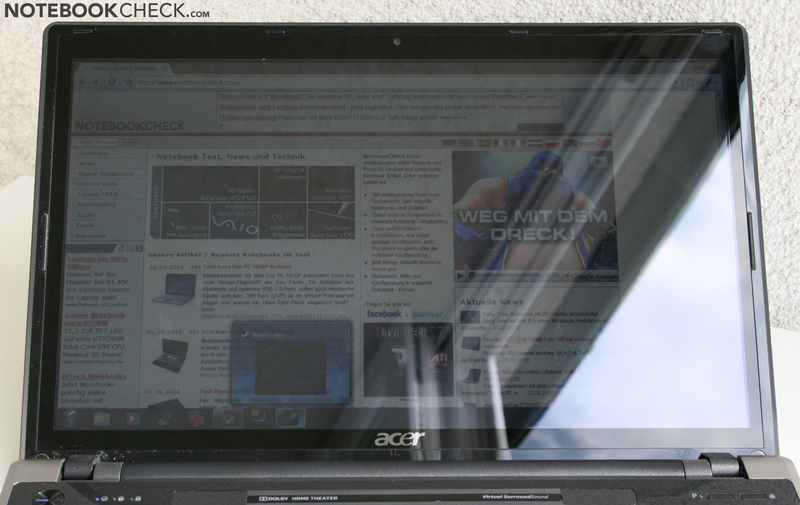 The screen, with a diagonal of 15.6 inches (39.6 cm) has a resolution of 1366x768 pixels and has, according to Acer's specifications, a reaction rate of 8 milliseconds. The manufacturer's brightness specifications of 200 nits can't quite be reached in our measurements. We recorded a maximum of 185 cd/m2 in the display's central area with a moderate average brightness of 173.3 cd/m2. The display's illumination of 88% is more than alright due to an only slight brightness decrease toward the corners. 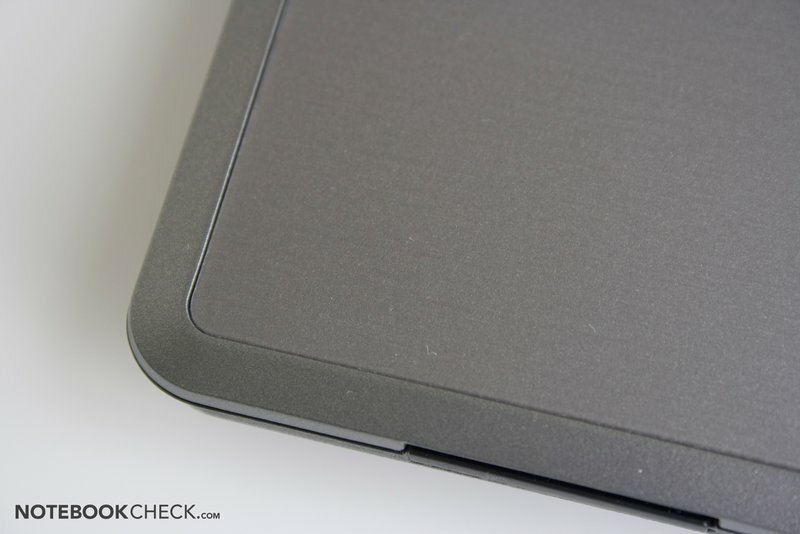 On the one hand, the image representation quality on the Acer Aspire 5745PG is characterized by an only moderate contrast ratio of 173:1, which can almost be classified as standard for inexpensive notebooks. 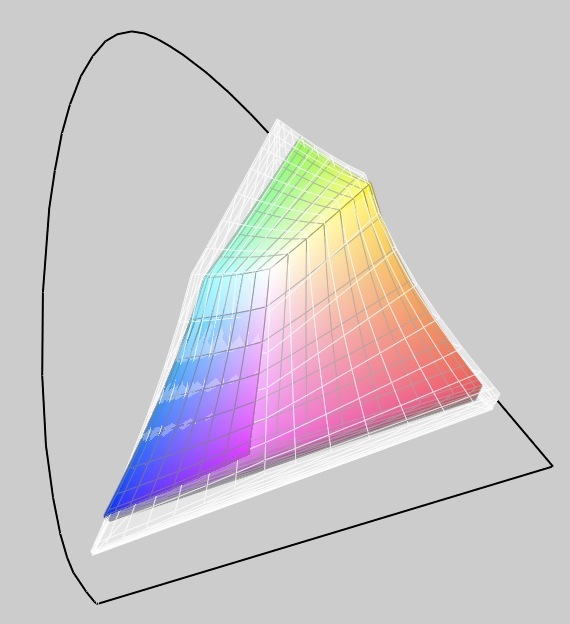 On the other, the display is able to surprise positively in the assessment of representable color space. 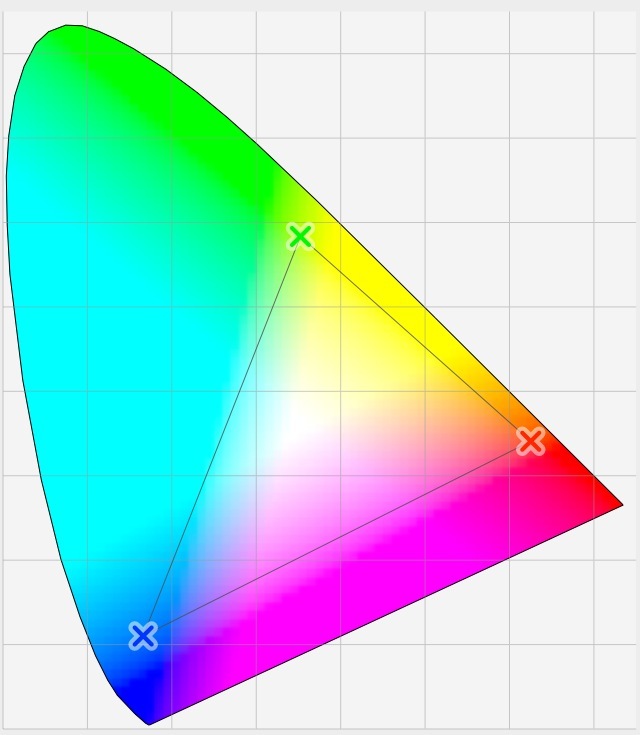 It's only slightly under the sRGB color space and is thus significantly wider than in "low-cost displays". 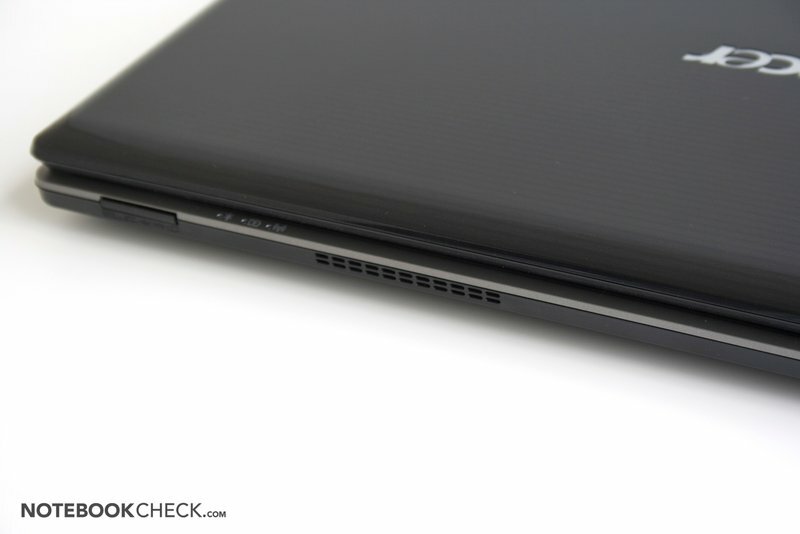 Nevertheless, compared to professional screens, found for example in Dell's Studio XPS 16, the just achieved bonus is relativized. Neither the display's maximum brightness nor its reflective display surface leaves hope for a reasonable use outdoors. At best, the device can be used well-shaded on the terrace, but even then the appearing reflections and the too low image contrast make life difficult. The given viewing angle stability suffers under the common weakness in the vertical field of vision. Even slight deviations lead to disturbing image changes. The display is a bit more compliant in horizontal viewing range and allows even several people to follow displayed content on the Aspire 5756PG. The Acer Aspire 5745PG promises a solid multimedia performance on a midrange level with a combination of Intel Core i5-460M CPU and new Nvidia GT 420M graphics. The details/benchmarks of Intel's CPU will temporarily be omitted and be provided after the official launch. Nevertheless, the used graphics solution (Optimus) is at least just as interesting, which we will analyze much closer in following. The Nvidia GeForce GT 420M is based on the GF 108 core, an offspring of the brand-new Fermi architecture. Thus, the chip supports both DirectX11 as well as OpenGL 4.0. The graphics core has 96 shaders and a 128 bit memory bus. Due to the new architecture, the shader count isn't directly comparable with the previous generation. 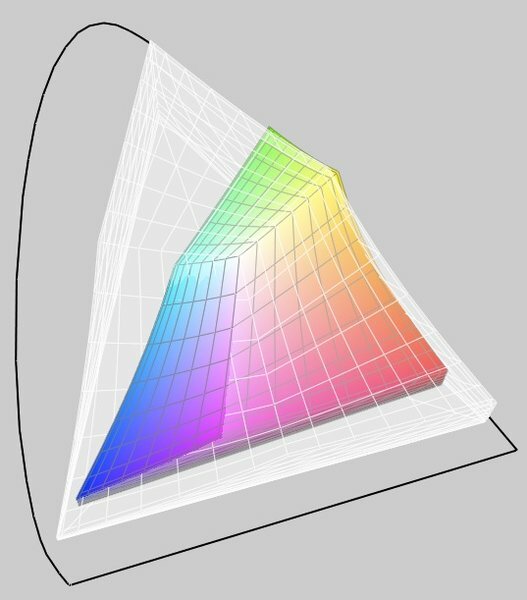 Furthermore, the graphics card supports loss free bitstream transmissions of HD audio via HDMI, PureVideo HD for decoding HD material, CUDA, DirectCompute 2.1 and OpenCL (GPU utilization for calculations) and PhysX for physical calculations in 3D games. 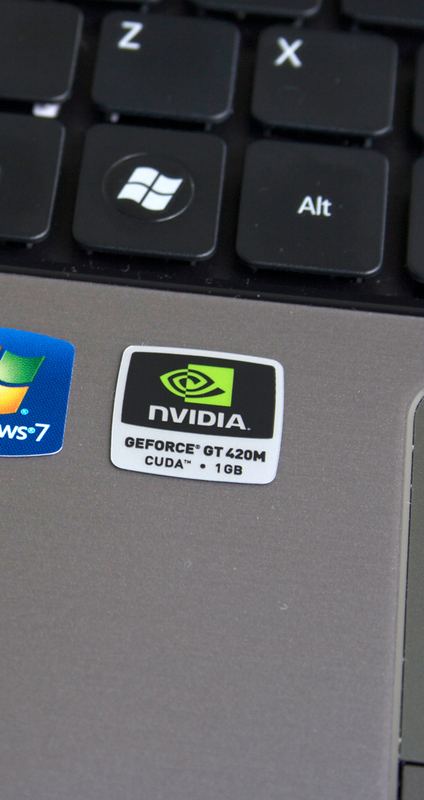 Due to Nvidia Optimus, the Aspire 5745PG switches between the dedicated GT420M graphics and the CPU's internal GMA HD graphics solution automatically. Thus, the available performance reserves are always adapted to the single application and the notebook's power consumption and emissions are optimized. We used the tried and tested 3DMark benchmark tests from Futuremark for a first performance classification. 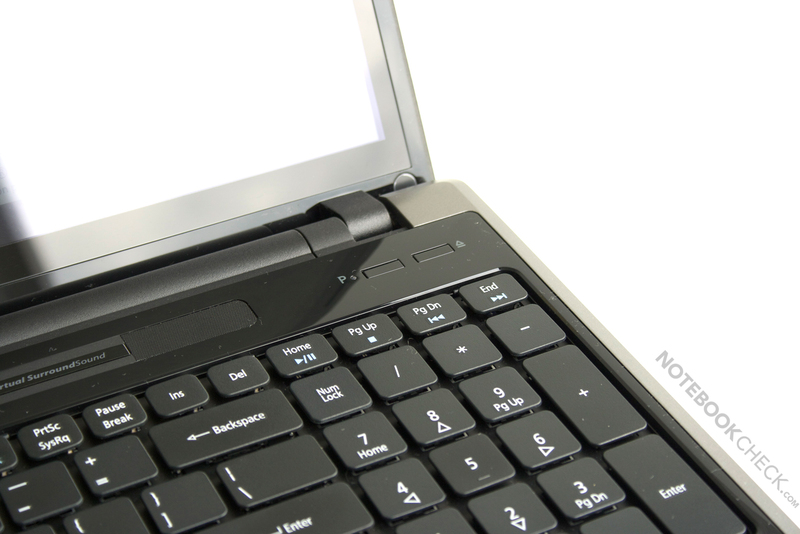 The Acer Aspire 5745PG at hand reaches 5988 points in the 2006 version. Thus, the GPU places itself between the GT 325M and the GT 330M. The Mobility Radeon HD 5650 should remain considerably ahead of the GT 420M, depending on its clock rate. The 3DMark Vantage benchmark test results push the graphics card a bit further forward. The Nvidia GeForce GT 420M achieves 2540 points and places itself in front of the GT 330M, and slightly behind the GT 335M. The Mobility Radeon HD 5650, as one of the biggest competitors from ATI/AMD falls a bit behind, depending on the clock rate, respectively remains a bit ahead of the GT 420M in Acer's Aspire 5745PG. The Acer Aspire 5745PG has a gross memory capacity of 320 GB with a speed of 5400 rpm due to the WD3200BPVT hard disk from Western Digital. The benchmark results, assessed with HDTune and Crystaldiskmark, are within the expected range in terms of transfer rates. 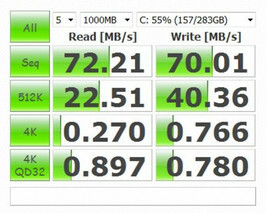 Merely the access rate of 19.7 milliseconds is a bit over the average of comparable hard disks. The GT 420M could usually place itself on the level of a GT330M in our practical tests with common games. The performance was even much better in some games, like Metro 2033 and Battlefield Bad Company 2. With the higher shader count, there could still be a lot of potential hiding in the GT 420M that might come to light by driver updates. The competing midrange graphics card, the Mobility Radeon HD 5650, achieved much higher rates, though. However, its opponent would also be the higher clocked GeForce GT 425M. The weaker HD 5470 lags far behind because of the lower shader count and the 64bit memory bus. As one of the most successful multiplayer shooters these days, BF:BC2 almost is entitled to run on a midrange graphics card with acceptable graphics. The past has however proved that the game doesn't always make it easy for the various graphics cards to display it sufficiently smooth. 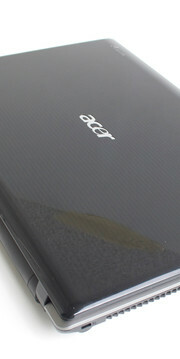 However, the Acer Aspire 5745PG with the GeForce GT 420M graphics finishes with a satisfactory result. Thus, our test device supplied an average of 31 fps in our benchmark run in a medium detail level (1366x768, medium, HBAO off, 1xAF, 1xAA). We could also observe a short decline below the 20 fps mark (click "... in comparison"), whereby you likely won't be spared of the one or other jitter in the game. The frame rate sinks to 23 fps on average with high graphics presettings (1366x768, high, HBAO on, 4xAF, 1xAA) and runs below the 20 fps mark for longer periods. This is no longer sufficient for smooth gaming fun. In comparison, e.g. the MacBook Pro 17" with a GT 330M graphics achieves 28.0 fps in medium details and positions itself marginally behind the GT 420M. 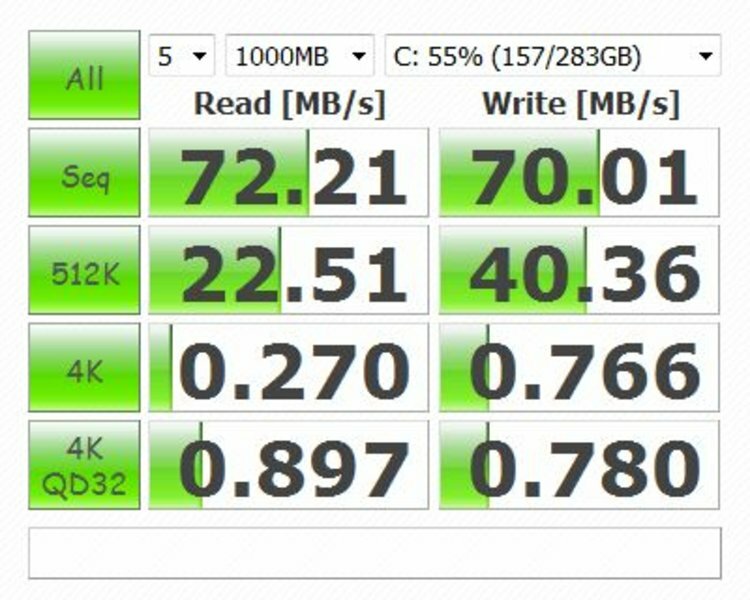 The GT335M in the Alienware M11x (32.1 fps), as well as in the QMG6, keeps its lead with 34.9 fps. This order even remains in high detail settings. Modern Warfare 2 presents itself no less attractive, but in our experience a bit less resource demanding than BF:BC2. Our benchmark run supplied an average of 33 fps in a medium detail level (1024x768, all on/med vsync off, normal textures, 2xAA). A short decline below 20 fps can be observed here as well, so a short jitter might turn up. 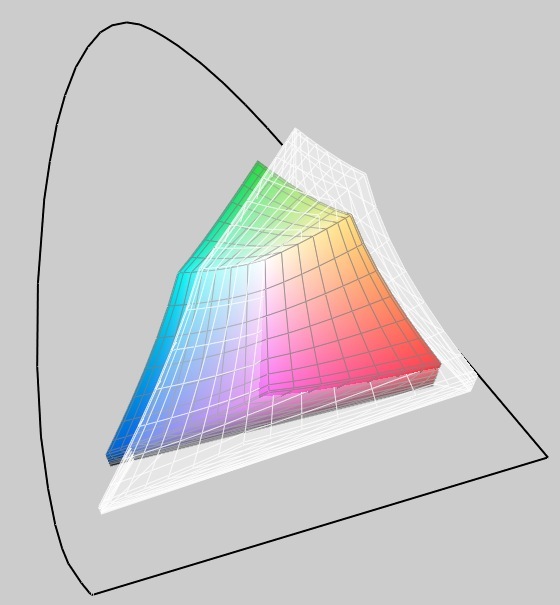 It's only just an average of 29 fps in high graphic demands (1366x768, all on/high vsync off, high textures, 4xAA), but the frame curve turns out similar as in medium settings. Once again, the Alienware M11x with a GT 335M graphics (36.0 fps in medium settings) and the QMG6 (GT 335M/620M) that can clearly surpass the 5745PG with 39.4 fps is found In the Acer Aspire 5745PG's immediate vicinity. 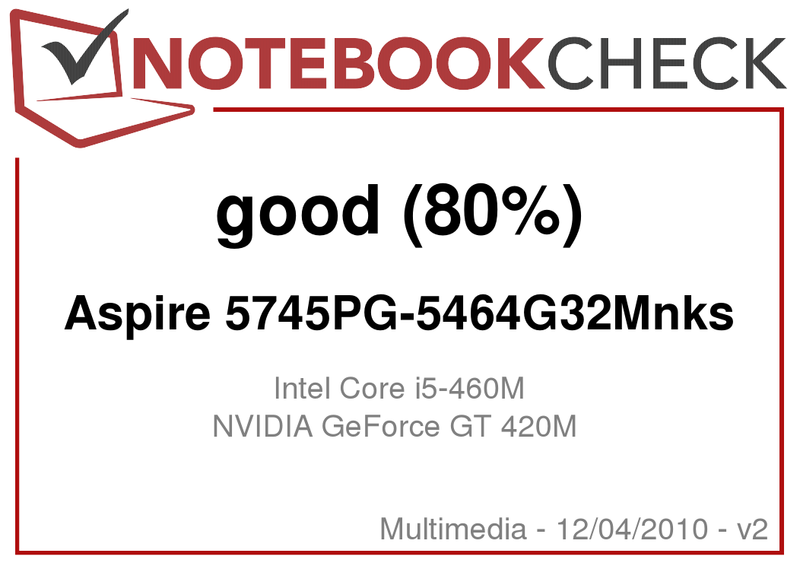 The Asus N61JV with Nvidia GT325M graphics is just behind the Aspire. The Toshiba A660 with a GT330M GPU can surpass the Acer Aspire slightly in high graphic settings with an achieved 30.5 fps, which is a bit of a surprise. However, the GT335M's advantage in Schenker's QMG6 diminished a bit (33.2 fps). The success of the follower of the strategy hit, Starcraft, appears to be sealed already a few weeks after its release. Even if the game's appearance doesn't look especially intoxicating at first sight, Starcraft 2 preconditions an averagely strong graphics hardware for a smooth image pleasure. We record 44 fps in the benchmark run with the native resolution of 1366x768 and medium graphics settings. The consistent frame rate curve confirms the gaming suitability in these settings. If you want more, you'll have to accept a decrease to 25 (high) or less. 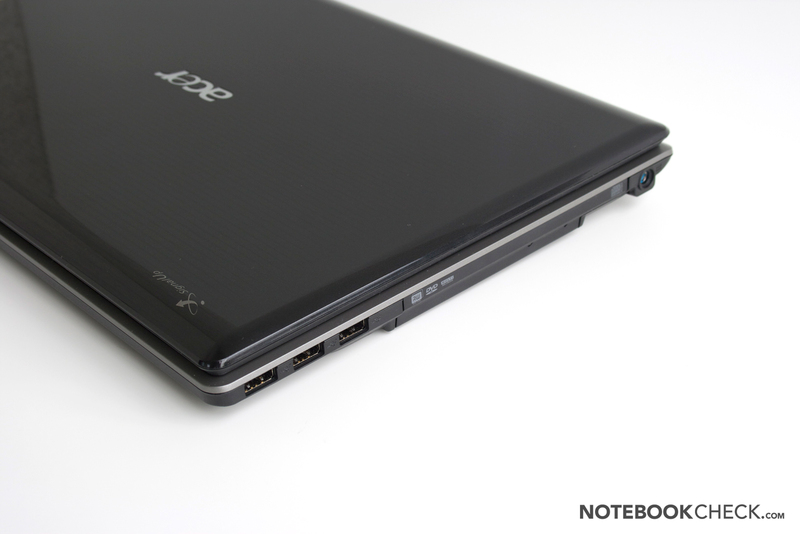 Surprisingly, the Acer Aspire 5745PG stays behind notebooks with a GT 330M in comparison. Thus, Samsung's R590 and Sony's F12Z do supply a much better result with 39, respectively 39.3 fps. 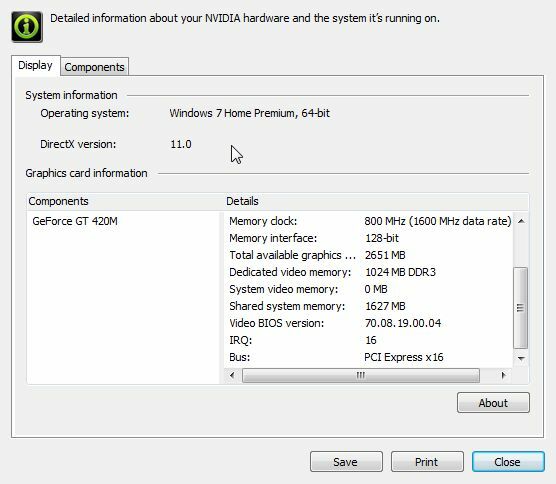 Thus, the GT420's performance in modern and demanding games (Metro 2033, StarCraft 2, Battlefield BC2, Cod MW2) is only sufficient for low to medium details. Older or less demanding games, like Left 4 Dead or Sims 3, can be played in high details. 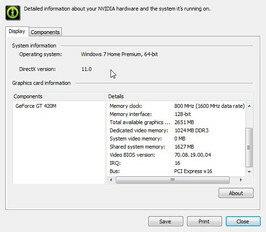 Detailed information about which performance you can expect in various games can be found in the following chart, or in our overview: Computer games on laptop graphics cards. 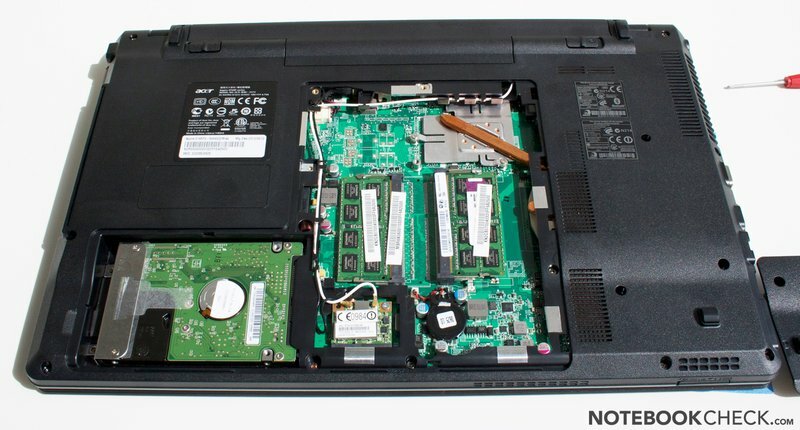 The Acer Aspire 5745PG is always pleasantly quiet in idle mode, as well as under low system load. We observed that the fan constantly restarted while surfing on the web, but it always remained at an uncritically low level. It didn't matter if the integrated Intel GMA HD or the GeForce GT 420M was enabled. The fan gets very audible under load, but due to its whirring characteristic, it doesn't protrude unpleasantly into the foreground at a noise level of 37-42 dB. The base unit's surface temperatures stay on both the bottom and upper side in a barely perceptible range during use with, respectively low office load. We first noticed a partly considerable warming on the upper side (up to 44°C) and a maximum of 49°C on the bottom. 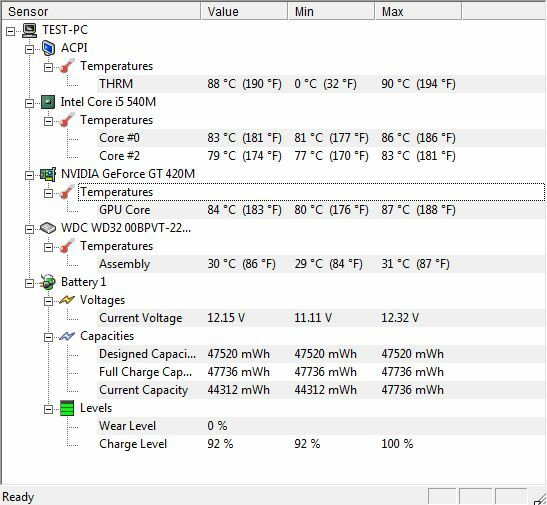 According to HWMonitor, the internal temperatures stayed within limits even after several hours of extreme load (Furmark + Prime95) and didn't come close to the maximum temperatures specified. Even the Cinebench test executed immediately after established the expected rates. 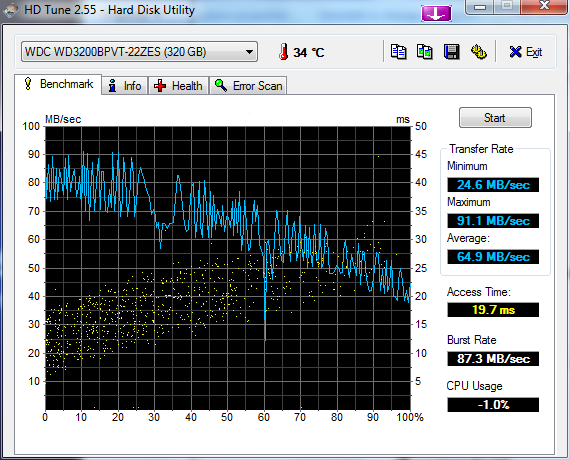 Thus, a throttling of the Aspire 3D notebook shouldn't be an issue. (-) The average temperature of the palmrest area of similar devices was 29.1 °C / 84.4 F (-7.9 °C / -14.2 F). The compact design gets audible in audio rendering. The speakers provide a treble-prone and bass-poor sound, which also can't emit particularly loud either. Turning to external audio devices is thus very recommendable, especially during playing video footage. As the maximum recorded battery life (BatteryEater Reader's Test) of more than 6 hours gives you hope, the picture is at latest dimmed in DVD rendering. Merely a slightly overlength Hollywood movie can be rendered due to only 2.5 hours runtime. Under load, you shouldn't count on a lot more than an hour of mains independent activity. In return, the user has the full computing power available (tested with CB11.5). The Aspire 5745PG's power consumption is very good especially without load due to the Optimus Technology and is on par with the 1830T and the Asus U30JC (also with Optimus). That this can't really aid the notebook to remarkable battery runtimes is primarily due to the rather tight battery capacity of 47Wh. The power consumption increases significantly under load and places itself on the level of a MSI FX600& with a GT 325M. 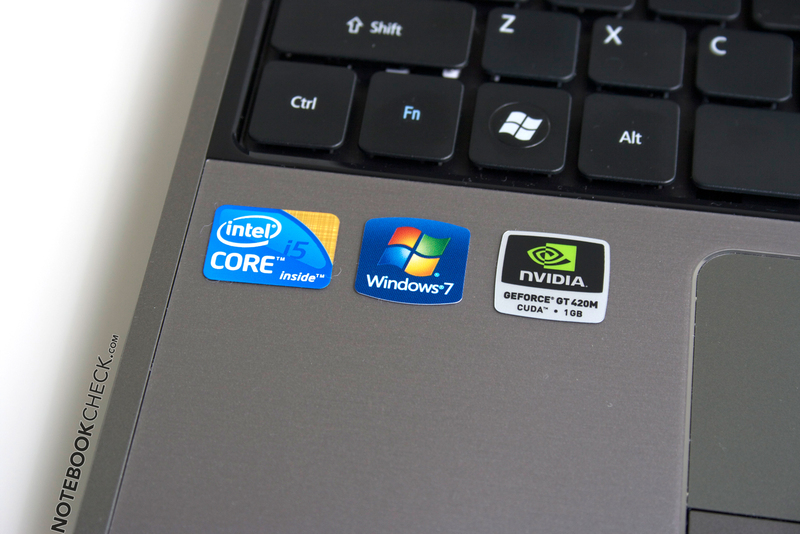 Other notebooks with a GT 330M or HD 5730 graphics are however also on this level. Briefly, the Acer Aspire 5745PG can be described as an average multimedia notebook that has a certain amount of surplus value in comparison to normal devices due to its touch display. How much this turns out to be is basically dependent on the user, and how he uses the touch functionality. The good input devices, the to a part seemingly high-end case and the quiet and cool office mode have to be mentioned positively. The notebook's performance is overall on par with similarly positioned existing multimedia notebooks. We found especially the interface positioning and the complete omission of a fast transfer option to and from external memory media (eSATA/USB 3.0) unfavorable. The Acer Aspire 5745PG is definitely worth looking at for touch fans without special demands in regards to performance, not only because the newest graphics and processor hardware is obtained and thus also a bit of future proofness. The GT 420M from Nvidia places itself as expected a bit over par of the existing midrange graphics solution, GT330M. 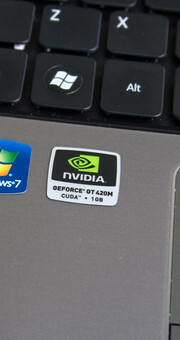 With Nvidia Optimus, the Acer 5745PG manages to straddle between quiet and cool office mode, and nevertheless have enough 3D performance reserves for the one or other new computer game, even if with modified graphic details. The latest technology in a notebook - who wouldn't like that? A fast interface for data transfer. Touch technology in a notebook - will that work? Everything that can provide a fairly strong CPU and graphics in the 15 inch field, so Core i5/GT330M or HD 5650 combinations from all manufacturers.